Tesla Model 3 Goes on Sale This Week. The most anticipated electric vehicle, the Model 3 is about to hit the street and there is no stopping it. Elon Musk, CEO of Tesla announced this via twitter after the EV will be up for sale by Friday after it has passed all regulatory requirements. place on the 28th of July, 2017. 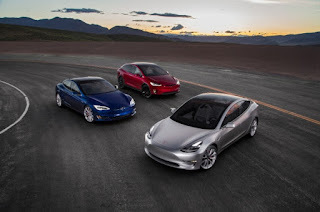 The electric car manufacturer expects to have rolled out 100 EVs by August and more that 1500 by September and by December it should be recording at least 20,000 Model 3s production per month. What are your thought, please do share with us in the comment section below?? ?